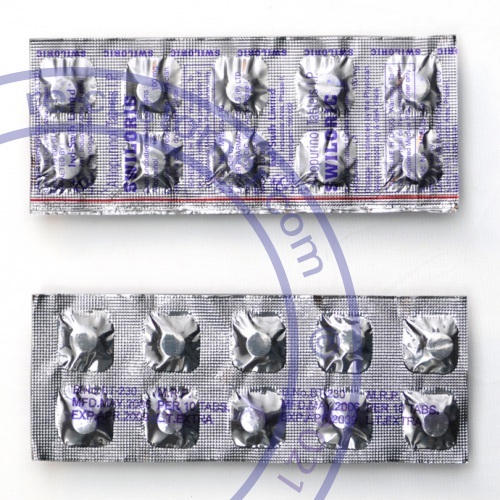 ALLOPURINOL is an enzyme blocker that lowers high levels of uric acid in your body by decreasing the amount produced. It is used to treat gout and certain types of kidney stones. This drug is also used to prevent high uric acid levels in patients who receive cancer chemotherapy. Cancer cells that are destroyed with therapy release large amounts of uric acid into the bloodstream. Take this medication by mouth usually once daily after a meal to reduce stomach upset, or as directed by your doctor. It is best to drink a full glass of water with each dose and at least another 8 glasses (8 oz. each) a day while taking this drug in order to prevent kidney stones from forming. If you are on restricted fluid intake, consult your doctor for further instructions. Your doctor may also instruct you on how to decrease acidity in your urine (e.g., avoid large amounts of ascorbic acid or Vitamin C). Dosage is based on your medical condition and response to therapy. Use this medication regularly to get the most benefit from it. Remember to take it at the same time each day. For the treatment of gout, it may take up to several weeks for this medicine to have an effect. Tell your prescriber or health care professional about all other medicines you are taking, including non-prescription medicines, nutritional supplements, and herbal products. Also tell your prescriber or health care professional if you are a frequent user of drinks with caffeine or alcohol, if you smoke, or if you use illegal drugs. These may affect the way your medicine works. Check with your health care professional before stopping or starting any of your medicines. This drug may make you drowsy; use caution engaging in activities requiring alertness such as driving or using machinery. Alcohol may decrease the effectiveness of this drug. Limit alcoholic beverages. This medication should be used only when clearly needed during pregnancy. Discuss the risks and benefits with your doctor. Allopurinol passes into breast milk. Consult your doctor before breast-feeding. You may experience an increase in the number of gouty attacks for several weeks to months after starting this medicine while the body rids itself of excess uric acid. Allopurinol is not a pain reliever. To relieve pain, continue to take your prescribed medicines for gouty attacks (e.g., colchicine, ibuprofen, indomethacin) as directed by your doctor. Store the product at room temperature between 59-77 degrees F (15-25 degrees C) away from light and moisture. Do not store in the bathroom. Keep all medicines away from children and pets.